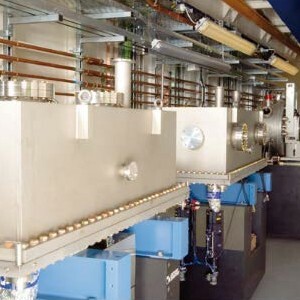 FMB Oxford has a track record for delivering complete beamlines stretching back 25 years. Our proven capability to deliver within time and budget has demonstrated the advantages of acquiring beamlines as custom-made solutions; including faster completion, better value for money and lower project risk, compared to piece-wise acquisition and in-house integration. 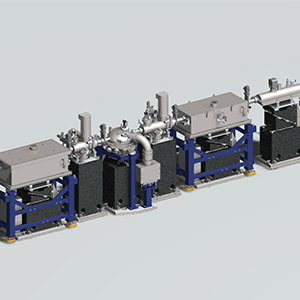 Our involvement with a beamline project often begins at the earliest planning stage, before any detailed design or planning work has been undertaken. We can provide the initial feasibility studies and budgetary figures for the securing of funds. Once approved, we can undertake a design study and deliver a detailed report with a full quantitative analysis of the design options and clear recommendations backed by experience and numerical modelling of the optical performance, energy range, photon flux, beam size and stability. This will ensure that the design chosen is sufficiently ambitious in reaching new scientific goals whilst remaining realistic and deliverable with regard to technical, budgetary and schedule consideration, with all project risks clearly identified and controlled.